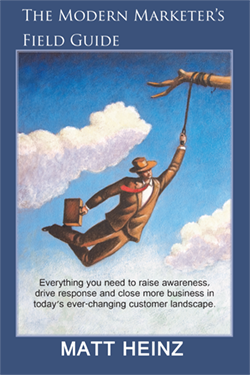 Everything you need to raise awareness, drive response and close more business in today’s ever-changing customer landscape. The speed of innovation and change in B2B marketing has never been greater. And the need for clarity, for a blueprint, for a guide to what’s really working and how to apply it specifically to increase sales pipeline growth, velocity and conversion – that’s what we get asked for more than anything else. Which is why we wrote this book. It covers a lot of ground, but quickly. We’ve addressed a comprehensive view of the sales and marketing pipeline, but done it in quick bursts with lots of specific, actionable ideas, strategies and tactics you can put to work right away.